we don't display the address anymore! ChesterJT	 02-10-2016 02-23-2016 Success 13 1/1 Sent LOR and ROMLB (to 26004) *UPDATE: Received with signature and 5x AS inscription. 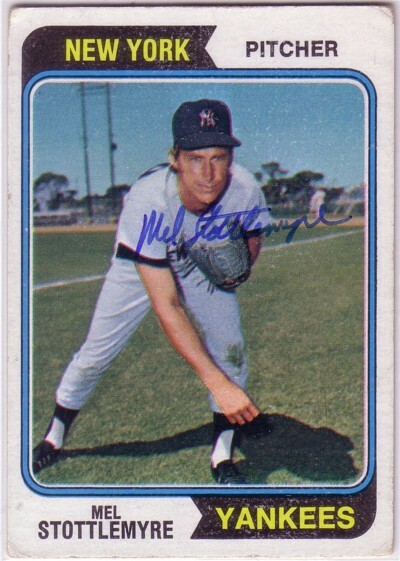 dvsantan	 02-05-2016 04-03-2016 Failure 58 1/0 Sent 1972 Topps #492, Shipped to 26004 address, still nothing. Kept card maybe? Sryankee99	 12-31-2015 01-15-2016 Success 15 3/3 2 8X10's and 1 card - All three signed in Black. Great success! Coltron57	 10-20-2014 10-27-2014 Success 7 3/3 3 4x6 photos. Signed all 3 in blue. loki1230	 09-12-2011 09-24-2011 Failure 12 1/0 RTS No such address? ydfthunder	 05-17-2010 05-28-2010 Success 11 2/2 signed both items! Instruction: For a fast return, add $5 for his charity. pbtank67	 12-03-2018 12-14-2018 Success 11 1/1 75T & $5. Signed in blue sharpie. jmaciu	 10-27-2018 11-07-2018 Success 11 1/1 1969T + $5. Signed in blue sharpie. Thank you, Mr. 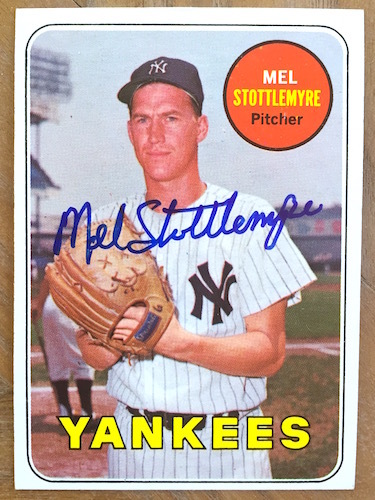 Stottlemyre!!! ChefCharley	 09-11-2018 09-20-2018 Success 9 2/2 Great success. Included $10 donation. Signed and personalized 8x10 photocard and second card. Great sign by a great guy going through a lot. 1956WS	 08-11-2018 08-20-2018 Success 9 1/0 67T + $5. Love this one. 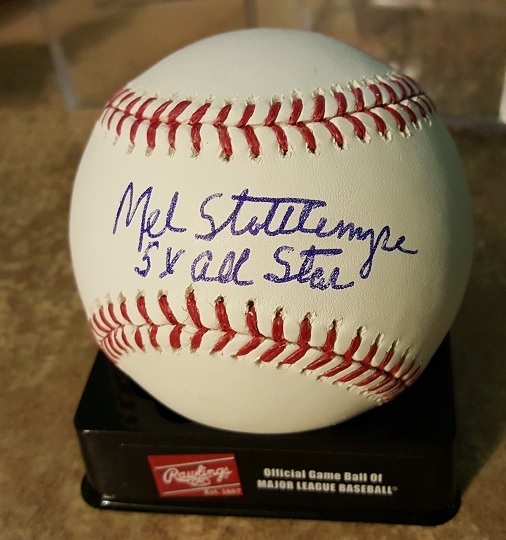 Thank you, Mr. Stottlemyre! sreader3	 10-23-2017 10-31-2017 Success 8 1/1 1972 Topps with $5 donation. Very quick return (although I'm in CO and Mel's in WA so . . . .) Pleased. 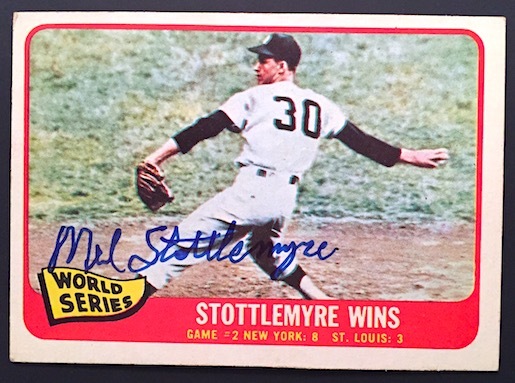 1956WS	 11-19-2016 11-28-2016 Success 9 1/1 1965 Topps World Series 'Stottlemyre Wins'. Signed in thin blue pen. 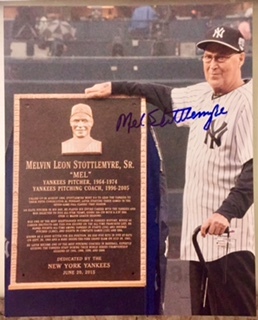 Thank you, Mr. Stottlemyre! 1956WS	 03-28-2016 04-05-2016 Success 8 1/1 1969 Topps. Street # should be 26004. 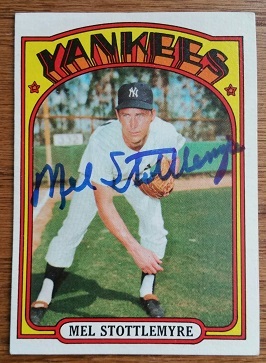 Thank you, Mr. Stottlemyre!